Monitoring Spending in a Post-2015 World: How Can It Work? This post was written by Paolo de Renzio, International Budget Partnership. 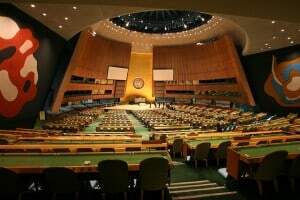 Two big meetings related to the Post-2015 Sustainable Development Goals (SDGs) will take place in the coming months: the Financing for Development conference, and the UN Summit to adopt the Post-2015 Development Agenda. This has shifted focus to the short-term negotiations that will decide the shape and content of the SDGs, what the targets and indicators will look like, and what resources will be available to try and achieve them. We have been following this debate very closely at IBP, calling for transparency, participation, and accountability to be at the heart of the new framework. In previous blogs (see here and here) we have argued that one of the great shortcomings of the Millennium Development Goals (MDGs) has been the lack of a system to monitor the resources that governments and donor agencies invested in reaching the development targets. This made it difficult to hold them accountable for what are often seen as disappointing results. Last year, we published research showing there is a link between budget transparency, the tracking of development expenditure, MDG spending, and MDG results. The public availability of budget information, in other words, can create an environment where governments can be held accountable for how they use public resources. This, in turn, can lead to a more targeted use of resources, better service delivery, and improved development outcomes. To make sure that some of these benefits materialize in the Post-2015 SDG era, we need a system that promotes effective monitoring and accountability, both domestically and internationally. This means the final agreement must include provisions for the disclosure of information on policies, and on resources allocated and spent, with the aim of achieving the various development targets. While the draft versions of the goals, targets, and indicators all look promising, the end result is still uncertain – some governments are pushing back strongly. Even if the short-term battle is won, and transparency and accountability are firmly embedded in the Post-2015 agreement, finding ways to turn all of this into practical arrangements by the time the SDG indicators are finalized early next year might not be as straightforward as it seems. How can the international community make sure that timely and detailed data on spending and results related to the SDGs are made widely available? Three ongoing initiatives point to some possible solutions. A joint initiative by Oxfam and Development Finance International, Government Spending Watch has collected data on government spending toward seven of the MDGs for more than 60 low- and middle-income countries. Covering 2012 to 2014, the dataset draws on budget documents made available by governments, complemented by data from the IMF and World Bank. To date, it is one of the few and the most ambitious independent efforts at gathering MDG spending data. But, while it has great potential as a model, it only provides very aggregate numbers and often relies on informal contacts with government officials for access to data and their interpretation. The World Bank’s BOOST initiative was created as “a one-stop shop for budget data worldwide.” It makes public spending data available in very detailed and open formats – i.e. by sectors and sub-sectors which can be linked to existing and future development goals. Unfortunately only a handful of governments have agreed to have their data posted on the portal so far, despite the fact that the World Bank has been working with around 40 countries on this initiative. Also, the data is compiled from government sources that are usually not accessible to the public. Finally, last year the Open Knowledge Foundation, with help from Google, the Omidyar Network, and IBP, drafted a data specification called the Budget Data Package. This aims to provide a common format for governments to publish open budget data that is useful to citizens, easy to process, transparently structured, well documented, and rich enough in content to be meaningful and understandable – including being “linkable” to specific development goals. While the specification is still being piloted, and can certainly be improved, it could provide the basis for future reporting, ensuring wide access to data that can be compared across countries. Each of these three initiatives provides a partial answer to our question of how we ensure that data related to the SDGs are made widely available. The full answer might come from a combination of their different approaches. To enable effective monitoring and accountability of SDG-related spending and results, all governments need to commit to providing information that is detailed enough to be meaningfully linked to the various goals and targets. This information should be easy to access and reuse, and comparable across countries. The final outcome of the SDG negotiations is still uncertain. But a clear lesson from the MDG era is that it is crucial that a wide range of actors have the ability to track both the resources being spent to achieve the goals and the results of that spending. Establishing how this can be achieved is not a simple task. We need to start thinking about the details now, lest we are caught unprepared and have to wait another 15 years.